Under the able guidance and vision of Dr. Harvinder Baweja, Baweja Multispeciality Hospital turns a new leaf on its 25th anniversary. 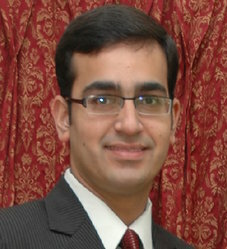 He completed his graduation from Government Medical College, Patiala, and did his post graduation in Orthodontics. He is a multi dimensional personality and he juggles the distribution of various companies alongwith his passion - treating patients with the best of facilities at the most affordable prices. Dr. Geeta Baweja was the first gynaecologist in the region to commence offering private facilities to the patients who no longer wanted to stand in long queues and wanted to feel the difference of being given respect and tender care. With this aim in mind, she incorporated the first Ultrasonography machine in the region. To her credit she has more than 10,000 normal deliveries conducted in her supervision. She was felicited by the Punjab Government for maximum number of contraceptive surgeries in a month. With her versatility, she always adds a personal touch to each of her patients. Dr. Tarun Baweja, after having completed his post graduation in Psychiatry from one of the most prestigious hospitals in Hyderabad, wanted to learn more about the intricacies of mental health problems prevalent in various cultures. And to quench his thirst for more knowledge in the subject, Dr. Tarun completed his M.Sc. Transcultural Mental Health from Queen's College, London. 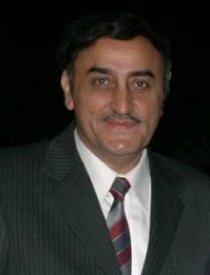 He then moved on to serve the needy in Government Mental Hosptial Amritsar, where he headed the Transcultural Mental Health department. Patients who have lost all hope come from far and wide to get affordable and very effective treatment from one of the best in business. Dr. Pooja Baweja was awarded fellowship in aesthetic medicine from the prestigious Institute Of Laser and Aesthetic Medicine having their parent institute at Germany. She has been a pioneer in her field having set up the cosmetology unit single handedly with access to the latest in technology and her expertise has made the cosmetology department the leading cosmetology centre in the region. Dr. Namrata Baweja has been trained in the most prestigious, Government Medical College & Hospital, Sector 32, Chandigarh. Her forte is dealing with high risk pregnancies and infertility. With the grace of God she has been able to treat high risk cases successfully. She is also trained in Minimal Invasive Surgery from the world renowned All India institute Of Medical Sciences (A.I.I.M.S.) She is trained in all kinds of surgeries with the latest techniques. She is well adept at using all the latest equipment for a painless and hassle free patient experience.